Another devastating case of animal abuse has been reported in Lorain after dogs were starved and mistreated for months. The owners of two dogs who were starved, mistreated and left to die at a house out last month in Lorain have been charged, according to Lorain County Jail records. Amanda J. Pippens, 34, and Ellison Morris, 36 are facing a misdemeanor abandoning animals charge and felony-level cruelty to companion animals charge. The charges stem from an incident where a neighbor's child discovered two emaciated dogs left in the yard of a home on Washington Avenue. According to authorities, the owners were recently evicted and allegedly left the dogs there to fend for themselves. When they were found, the dogs were in terrible shape — their bones were showing and they exhibited signs of starvation. 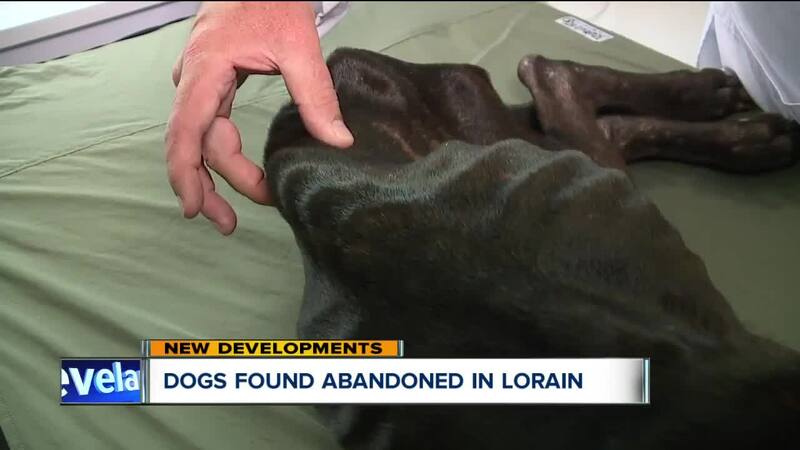 According to Dr. Thomas Wood of the Lorain Animal Clinic, the dogs were " basically just starved. " Unfortunately, one of the dogs didn't survive the ordeal and later died. The other animal was able to pull through and is making a full recovery at a foster home, according to the Lorain Animal Clinic. The case highlights a loophole in Ohio's law regarding animal abuse and cruelty. Under current law, had both dogs lived, the cruelty to animal charges would only be a misdemeanor. The charge was only elevated to a felony because one of the animals died. Pippens and Morris are scheduled to appear in court on Sept. 17.